Aaron J. French (a.k.a. A. J. French) is currently a book editor for JournalStone Publishing and the Editor-in-Chief for Dark Discoveries magazine--a professional, internationally distributed print magazine specializing in dark fiction, currently on its tenth year of continuous publication and distribution. He has worked with and edited such authors as David Liss, Brian Evenson, Bentley Little, Douglass Clegg, Nancy Holder, Norman Partridge, Gary A. Braunbeck, Thomas Ligotti, Steve Rasnic Tem, Jonathan Maberry, F. Paul Wilson, and others. In 2011 he edited Monk Punk, an anthology of monk-themed speculative fiction and The Shadow of the Unknown, an anthology of nü-Lovecraftian fiction. 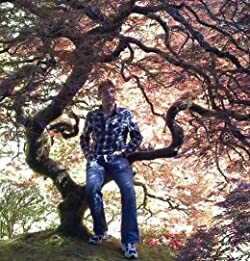 His latest anthology Songs of the Satyrs was published in April of 2014 from Angelic Knight Press and features a brand new novella from New York Times best-selling author David Farland. Aaron also served as co-editor for The Lovecraft eZine for several months in 2012. He is currently an active member of the Horror Writers Association. 2014 saw the publication of The Chapman Books, a supernatural thriller collection from Uncanny Books featuring Aaron's novella "The Stain." His zombie collection Up From Soil Fresh was published by Hazardous Press in 2013, and also in 2013 "The Order," an occult thriller novella about a Lovecraftian secret society, was published in the Dreaming in Darkness collection. Please enter your email address and click the Follow button to follow Aaron J. French!